The spiritual power of yoga—from the ten million-copy bestselling author of The Seven Spiritual Laws of Success In recent years, yoga has exploded in popularity. Yet for most North Americans, yoga remains justanother exercise routine—a good option if you want to increase flexibility or relieve stress. According to Deepak Chopra and David Simon, however, this simplistic view ignores the spiritual side of yoga—its profound power tounite body, mind, and spirit and bring about enlightenment. 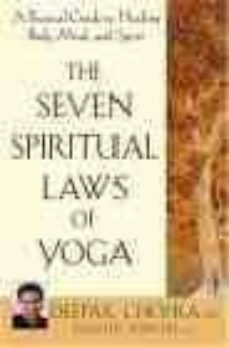 Now, in this new book, they show how everyone can explore yogas spiritual dimension—and integrate all the layers of their lives.